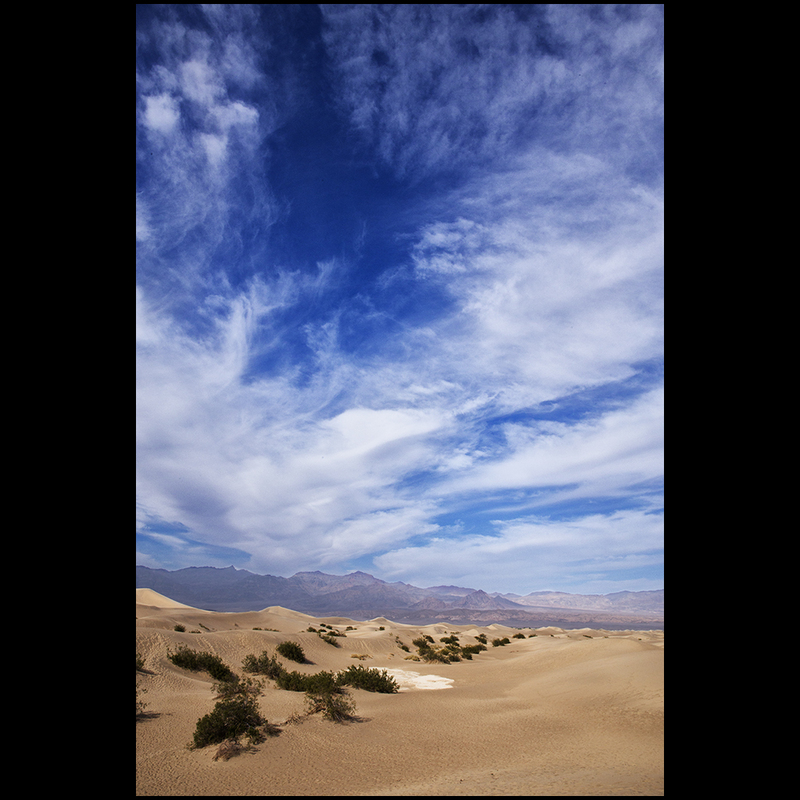 yesterday, i took a quick road trip with my friend carissa to death valley. i've been wanting to go there since i moved here. no idea why it took so long. it was pretty interesting. the sites we made it to were: scotty's castle, the sand dunes, artist's drive, ubehebe crater, badwater basin and zabriski point. there was one more point of interest i wanted to see, but we ran out of time. i wanted to see the sailing rocks/racetrack. i've seen some images online before, and have wanted to see it. i will have to go back and check that out. the most impressive thing for me was the volcano. it was enormous. the photograph doesn't do the size justice. i was shooting at 24mm, and i couldn't fit it all in. the drop was enormous. my fear of heights kept me from walking to the edge and looking in. my friend carissa kept telling me that it was a slope and not a drop. it didn't matter. once i noticed the size by looking at the other side, i couldn't even walk halfway from the car to the edge. the black landscape surrounding the volcano was quite eerie. it felt alien. a scifi movie about another planet could easily be filmed there. while checking out scotty's castle, i spotted a fire hydrant which instantly reminded me of the movie "beavis and butthead do america". 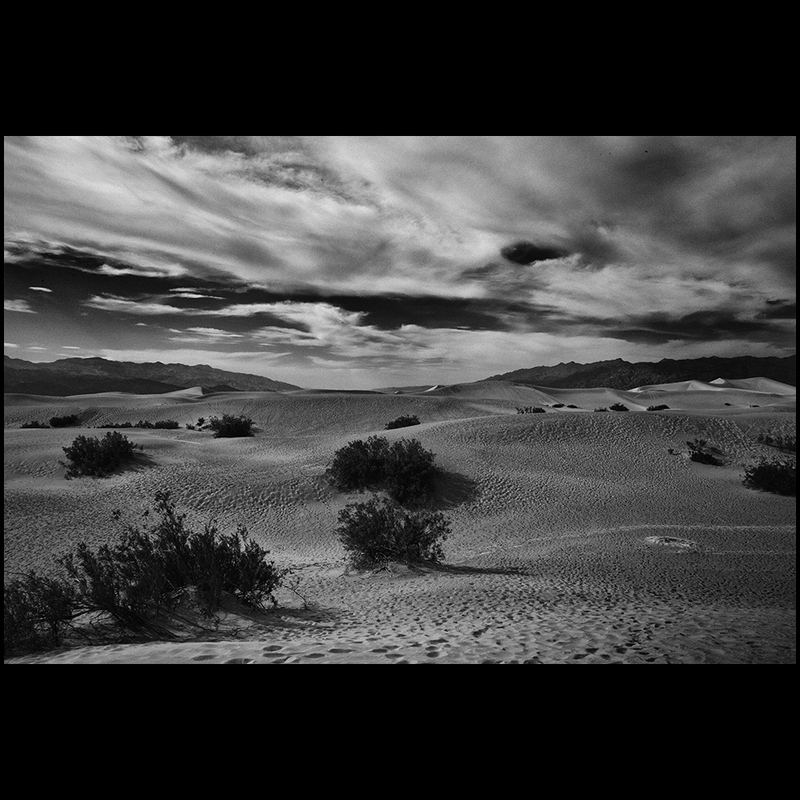 they're lost in the desert and dying of thirst. beavis says, "this desert is stupid. they need to put in a drinking fountain." as we were leaving the park, we stopped at a site we spotted on the way in. 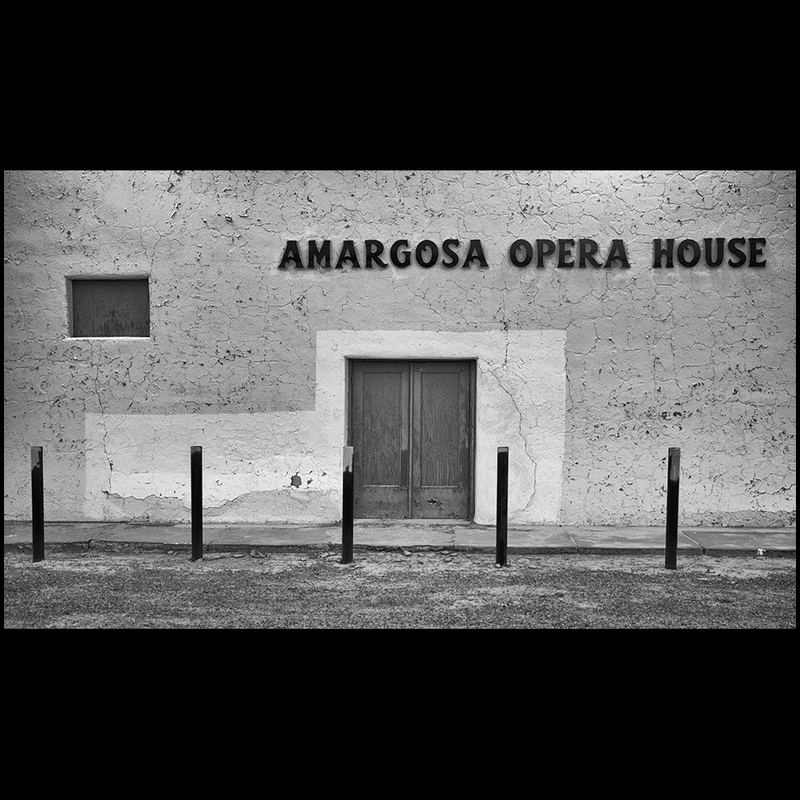 it's not technically part of death valley, but it was still an amazing point of interest, the amargosa opera house. after wandering around the area a bit and stepping into the hotel's gift shop, we both came to the conclusion we'd go back for an opera soon. it was a little creepy, but that made it more interesting to me. everything here is shot with a canon 6d and processed with photoshop and NIK.